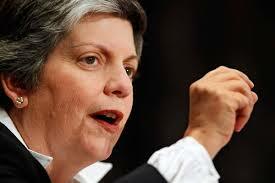 It is one year since Janet Napolitano took over as President of the University of California. Throughout that time, the former head of U.S. Homeland Security has been getting to know Californians through speaking engagements. I think her style deserves a closer look to exam her Speaking Strengths. I had the pleasure of hearing Napolitano speak in San Francisco, as part of the City Arts and Lectures series. That interview was only released on audio for a limited time, but you can see her in action in this clip from an interview with the Public Policy Institute of California. Watch as she clarifies with statistics. Napolitano’s over-arching Speaking Strength is “Clarity” which is the ability to be unambiguous and concise. She doesn’t rattle off statistics without concern for the listener. Her messaging includes full declarations, stories, and points of view that are easy to understand. Napolitano also demonstrates the Speaking Strength “Authenticity” which is to be genuine and real. She even selectively uses the Speaking Strength “Humor” (to be aumusing or funny) when taking about obvious ironic situations she has faced in her career, which spanned from U.S. Attorney and Governor of Arizona, all the way to the President’s Cabinet. It is true that 20 years of high-level public service provided the perfect opportunity for Napolitano to hone her Speaking Strengths. And make no mistake, honing is required by all of us. Those same Speaking Strengths – or one of the other Top Ten Speaking Strengths can be developed in you, too, with some professional coaching. That’s our passion, at Grant and Associates, helping others enhance their speaking skills. We have dedicated over 20 years to perfect our Speaking Strengths as TV reporters, anchors and producers. We then turned our attention to coaching on-air talent, executives and celebrities to hone their skills. Let us help you perfect yours. Public figures can be great role models for Speaking Strengths. Speaking for impact is not an accident, it’s a skill. We would love to hear which public figures you admire as public speakers and why. « Do you want to become leadership material?